How much will I get in the property settlement? A lawyer can only answer this question after taking a financial history of the relationship and gaining knowledge of the circumstances of the parties to the relationship/marriage. a) That the assets/liabilities are at the point of separation and the time of taking the instructions. b) Each parties contribution both financially and non financially direct and indirect to the acquisition, conservation and improvement of any assets acquired by the parties during the course of the relationship together with each parties role as homemaker and parent. c) Each parties need to draw on the asset pool. d) Whether the exercise in a b and c renders a just and equitable result. A lawyer needs to spend some time with the client to make an assessment as to the above. At the point of making the assessment of a parties entitlement the best a lawyer can do is give advice as to the range of possible outcomes/entitlements. Lawyers who undertake family law work charge for work that they undertake on a parties behalf. The more work they do the greater the legal fees. There is a Scale of Fees that has been produced by the Family Court but it is generally considered amongst the profession to be a base rate and one in which a less experienced lawyer would charge. Many lawyers move away from the scale of fees. I consider my charges as reasonable. I endeavour to make my services affordable whilst recognizing my experience as an accredited specialist. How much Child Support do I have to pay/can I anticipate receiving? Child Support is calculated in accordance with a formula referred to as the Child Support Formula. It is a nine stage process which factors in each parties incomes, number of children and their respective ages and the division of time the children spend between the parties. In essence the wife pays the husband for the time that the children are with the husband based on her income and the husband pays the wife for how many nights the children are with her based on his income and one offsets the other. The formula can be located on the child support webpage but you will to know the parties respective incomes and have an idea as to the care arrangements for the children. Alternatively a party can contact either The Child Support Agency or Centrelink and request that an assessment be made. The advantage of contacting these bodies is that they have access to taxation returns of the parties. Can I get back the financial gift /inheritance that I received from my parents during the marriage? 1. 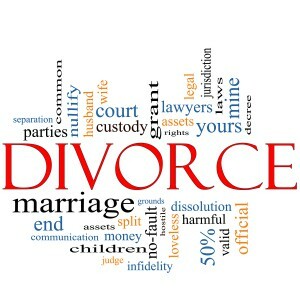 What are the assets/liabilities of the marriage/relationship at the time of separation. 2. As assessment of the parties contributions both financially and non financially , direct and indirect to the acquisition, conservation and improvement of any assets acquired by the parties during the course of their relationship together with their role as homemaker and parent. 3. What are each parties needs to draw on that asset pool. 4. After 1, 2 & 3 have been done is the result just and equitable. The gift/inheritance is relevant and an allowance for this contribution will be granted to the party who received the inheritance/gift in the second step – Contribution. Whether a party will receive the full amount of the contribution for the capital contribution is impacted upon by the assessment of the parties respective needs to draw on the asset pool and whether adjusting for the capital contribution renders a just and equitable result (steps 3 & 4). This is the same with any assets owned pre-relationship by one party (“pre-relationship contributions”). Do I as a matter of right get the children for 50% of the time? The changes to the Family Law Act in 2006 by John Howard’s government certainly brought shared care arrangements for children into greater prominence but no is the answer to the notation of an automatic shared care arrangement. In considering whether a shared care arrangement is suitable for a child/children the court/lawyer still have to have regard to whether the shared care arrangement is in the child’s/children’s best interests for this to occur. Many factors come into this consideration such as the age of the children; how far apart each of the parents live; the respective care arrangements in each household including each parents work commitments. What we are finding is that orders are being made and consent arrangements entered into for arrangements between the parties to reflect anywhere from 3:11 nights – 7:7 nights being the division of time between the parties in any fortnight. Is there any way that I can quarantine from the division of assets the part of my superannuation entitlements that I earned pre-relationship? It is not an automatic yes to this question. From a starting point the onus is on the person claiming the pre-entitlement to prove its existence and its value. Superannuation Funds can often not provide this information and therefore reliance on old statements is a parties only option. In assessing whether it is appropriate to quarantine the pre-relationship contributions to superannuation a court will have to have regard to the other non superannuation assets and whether the other parties needs are met if the quarantine occurs. I have had matters where a party has been successful in keeping the pre-relationship superannuation entitlements out of the pool of assets for division but this has only occurred where there have been not insignificant amount of other assets. What happens to my entitlement to superannuation in any division of assets? Though superannuation entitlements of a party are now considered as property and capable of division it must be said that these entitlements in practice are treated differently than the other assets which make up the non superannuation assets. This is because a party cant access the funds standing to the credit of that party in the superannuation fund . There is a mechanism called “a splitting order” which splits a parties interest in a fund to whatever extent is agreed and or determined as part of the property settlement process. The part that is split is then rolled into an entitlement to superannuation of the other party.